Mix or whisk raspberries, sugar and water together until well mixed. Using a strainer, drain the raspberry juice into a bowl and discard the seeds/meat of raspberries (unless you’d like to add them in for decoration - I have pictures with and without this for reference). Add the Elderflower liqueur to the raspberry juice. 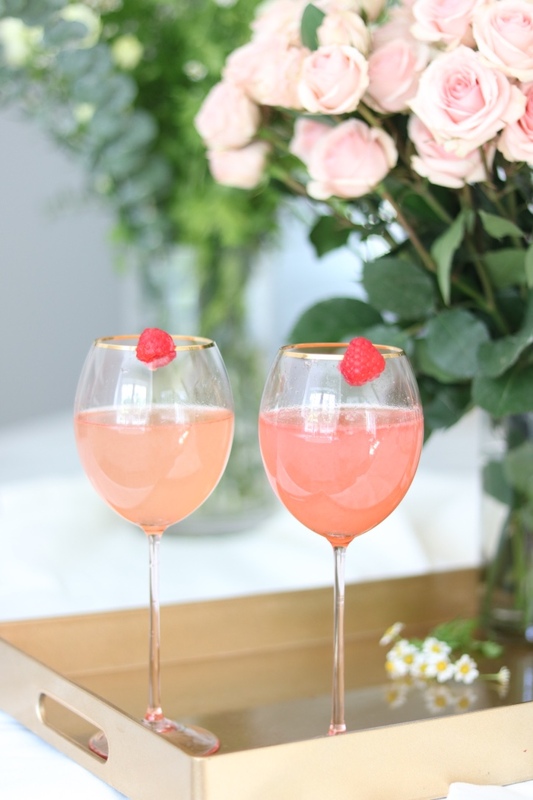 Pour 2-3 tablespoons of the raspberry juice mixture into champagne glasses. Add champagne. Garnish with a raspberry, edible flowers or the raspberry meat/seeds + Enjoy!